In November, the Landmarks Preservation Commission approved the lifting and reconfiguration of the landmarked Palace Theater at 1564 Broadway. Now, thanks to EB-5 documents, we have full renderings of what the DoubleTree Hotel site surrounding it will look like once the redevelopment is finished. 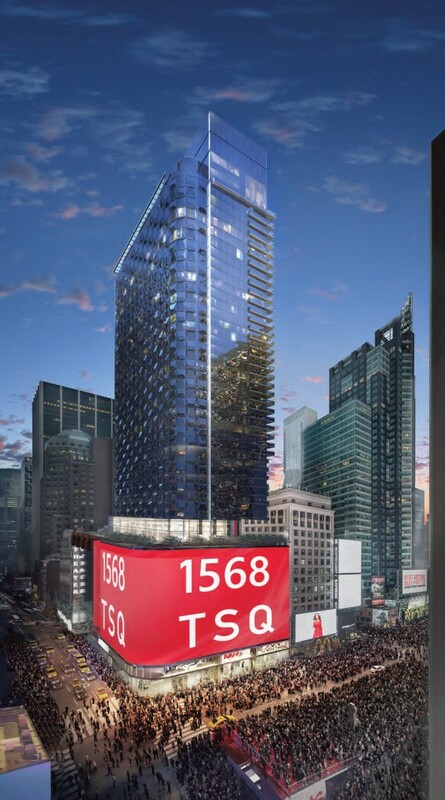 Last month, the leasehold interest of the 45-story, 468-key DoubleTree Suites hotel (by Hilton New York City – Times Square) was purchased for $540 million by Indianapolis-based Maefield Development, according to The Real Deal. 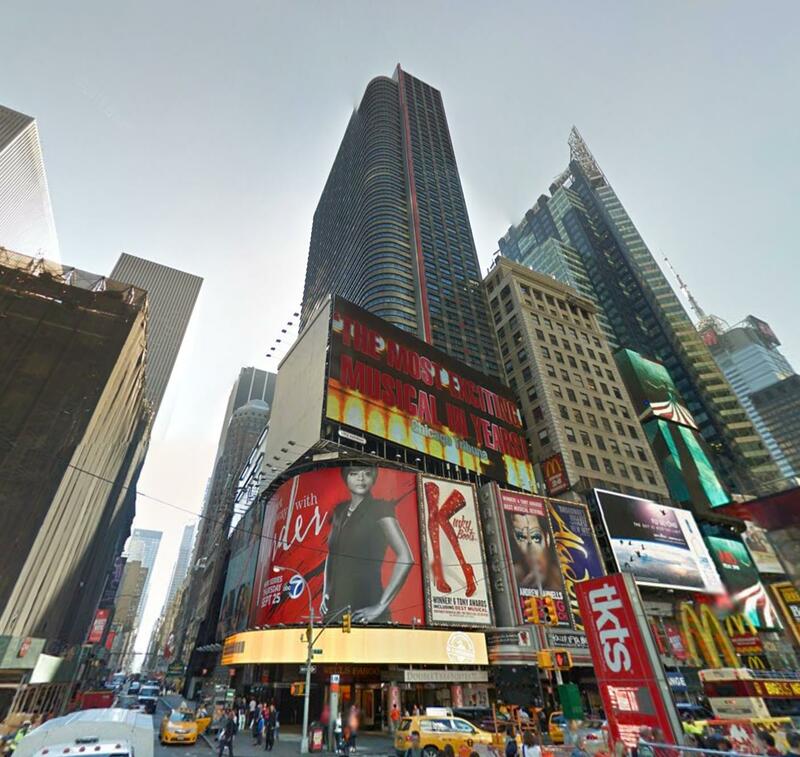 The mixed-use building at 1568 Broadway, between West 46th and 47th Streets in Times Square, currently contains ground-floor retail space and the Palace Theatre, which was designated an interior landmark in 1987. Last November, YIMBY brought you news of the proposed retail and lobby expansions, and the restoration (and raising) of the Palace theater for entertainment purposes. 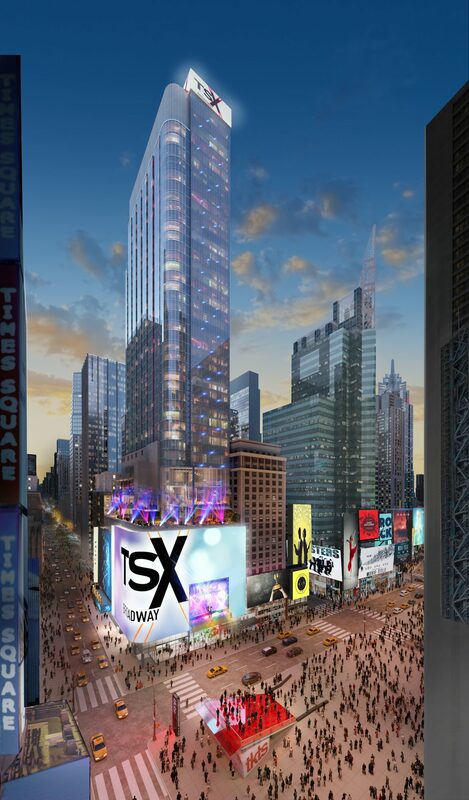 The building is set to receive a significant overhaul, which includes the hotel portion as well as the installation of a new, state-of-the-art LED screen.